For anyone buying a property abroad, it is much more difficult to work out if the price you are paying is the right price. In France, it is particularly complicated to get an accurate picture. Firstly, you are likely to see a property advertised at different prices by numerous different agencies (each will have a different commission that they add to the asking price.) Secondly, particularly in rural France, it is difficult to compare the price to similar properties sold locally as most properties are very different from each other and they also do not change hands very often. Thirdly, there is no set formula for valuing property in France; some agents value purely on the square meterage of the house or the number of bedrooms, others on the average price for property in the region (taking no account of age, character, condition, position etc.) Finally, many agents will put a house on the market at whatever price the seller asks in order to get the contract – hence prices sometimes bear no relation to actual value. This happens a lot when the seller has spent a lot on renovating a property and decides that it is worth what they paid for it plus what they spent on renovations – which may work in the UK, Australia, South Africa, the States but it does not work in France. Secondly view a house very thoroughly and preferably go back and view it a second time. Often a second viewing shows up details that you didn’t notice the first time, especially if you loved it as soon as you walked through the door on the first viewing. If a second viewing is not possible, make sure you take lots of photos and go through these again carefully the next day to make sure you haven’t missed something obvious. Thirdly, if you view a house that ticks most of your search criteria boxes, this property is most likely worth your budget, especially if a large part of your motivation in buying in France is a lifestyle choice. You will know if a house is going to offer the quality of life you are looking for and this is hard to put a price on. Fourthly, how much work does it need to make it into the home you are looking for? Get an idea of how much you think you will need to spend on it and add it to the asking price and then decide if it matches your budget and the region’s prices. Finally, it is a cliché but a true one that the location is the most important element in assessing the price. 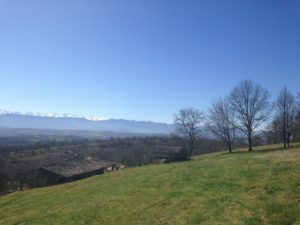 If the house is in a good location, one that is always in demand, if it has good views and good access, near mountains or coast and near a good size and nice town or city, then it will generally be worth what you pay for it because there will always be someone else who wants this same location. Above all, if you love the house the minute you walk in – in other words if it has that something special, that wow factor (whatever that happens to be) and this wow factor is within your budget, then it is most likely worth the price. The right price is the one that both seller and buyer feel happy with – in which case it will usually be an easy sale with extras thrown in by the seller and champagne drunk together on the day of completion.